The one-day event, RESONATE: Thinking Sound and Space, is answering this question. Why does sound matter in architecture? This critical question and an often overlooked dimension in architecture is at the heart of RESONATE: Thinking Sound and Space. 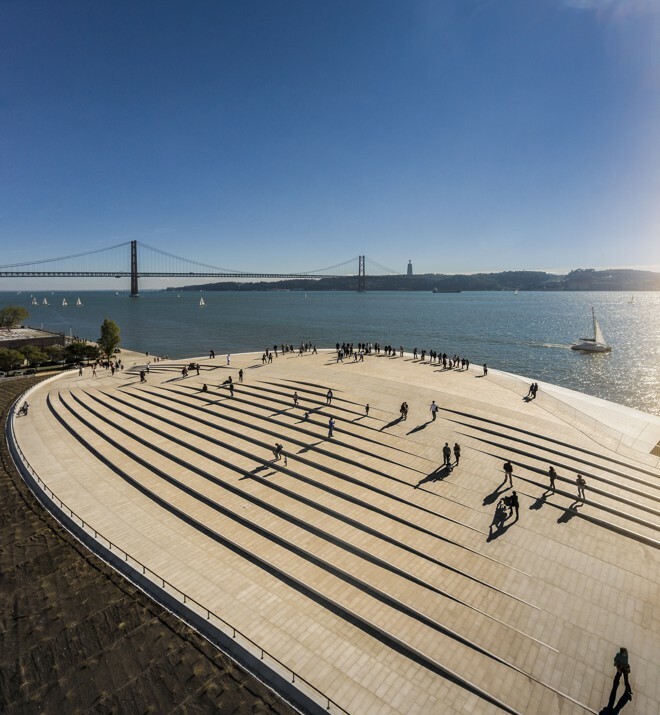 A one-day event happening on February 12 at MAAT in Lisbon will feature Elizabeth Diller, principal of Diller Scofidio + Renfro, Kjetil Thorsen, Founding Partner of Snøhetta, the principals of Foster + Partners, and Henning Larsen in a lively exchange with sound designers from Meyer Sound, Arup, and several artists and performers. In addressing acoustics – the immaterial dimension of architecture that is crucial especially for covered public spaces – RESONATE’s thinkers will guide a multidisciplinary odyssey into the secrets of cutting-edge sound spaces and iconic cultural venues. CityLab is the main media partner and moderators include prominent editors of the New York Times, Dezeen, Designboom, and Monocle. At the event, Kjetil Thorsen will present Snøhetta’s Oslo Opera House as a case study in architectural juxtaposition and surprise. Described by Snøhetta as a “social democratic monument” it was one of the more decidedly contemporary buildings of its genre when opened nearly ten years ago. Yet when one enters the concert hall, they will find a warm and surprisingly intimate theater cloaked in Baltic Oak that resonates well with the diverse performances staged. reSITE, a co-organizer of the event, briefly interviewed Kjetil Thorsen. 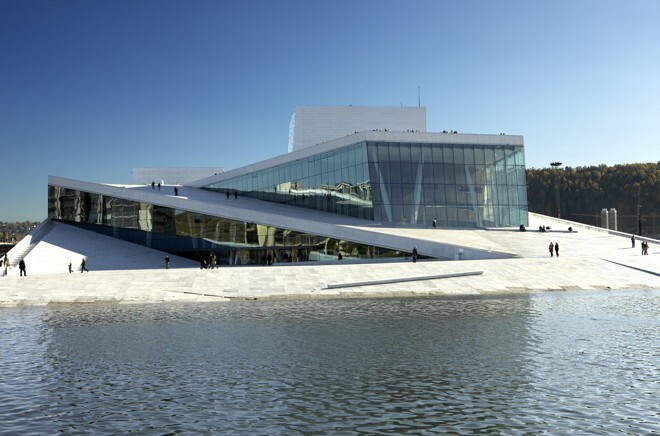 Q: Could you tell us more about the contrast and juxtaposition, so fascinating about the architecture of the Oslo Opera House? A: The roof of the building intersects with the Oslo fjord, giving a beach like experience with the water in summer and the ice in winter. It follows an old law preventing people from privatizing the shore line and securing public access. The white marble clad roof cover became a constructed landscape covering a very efficient opera house with all its operational preferences. Opera houses normally have clear historic references. We wanted to rejuvenate this typology to let the opera and ballet arts also become part of a possible future. Q: Was there anything specifically difficult in this design? A: Yes, the site. A big challenge with the site was its long-term use as industrial reclaimed land containing heavy metals and other poisonous materials that might get spread during construction. To prevent this, we decided to cover the area and to drill carefully the holes for foundations. Q: Definitely a challenging setting for what has become one of Oslo’s most visited public spaces. What is your perception of the public space? A: Public space is a difficult term since the lesser public are increasingly surveilling the larger public. However, one might claim that nature also belongs to the definition of public space, allowing us to look for different corners of privacy in this world. Kjetil Thorsen will disclose more in his closing keynote lecture on February 12 in MAAT. Two more case studies will be taking the prime spot on the conference stage. Elizabeth Diller will present Diller Scofidio + Renfro's longstanding engagement with architecture in sound, including the transformation of the Lincoln Center for the Performing Arts, the High Line and the Shed, the first multi-arts center designed to commission and present all types of performing arts, visual arts, and popular culture in NYC. She will also speak about the Museum of Image and Sound on Copacabana Beach in Rio de Janeiro. Peer Teglegaard Jeppesen has made a mark on cultural and performing arts centers in Europe and Asia with Henning Larsen's Harpa Music Hall and Conference Centre in Reykjavik serving as an icon for Iceland. Foster + Partners Senior Partner Michael Jones, involved in the recent Bloomberg HQ project, will be joined by Arup’s Raj Patel and Meyer Sound’s John Pellowe to discuss both the history and the future of architecture and acoustics. “Sound is at the very heart of our human experience. Creating extraordinary listening experiences across a wide variety of platforms is the essence of what we’ve done for nearly 40 years,” say John and Helen Meyer, the founders on Meyer Sound, the sound technology experts that have been called Metallica’s secret weapon. The company is collaborating on this event with its main co-organizers and curators, MAAT museum, and reSITE. The organizers have created a pass for women aiming to improve the gender balance in the industry. Women can register with a 70% discount for this one-of-a-kind event open to all architects, artists, engineers, students, and anyone interested in how sound interacts with architecture. The event is closely related to Bill Fontana’s Shadow Soundings sound and live streaming installation at MAAT and will offer the last opportunity to explore it on an artist-led tour, before its closing. CityLab readers can register for RESONATE conference and use an extended Early Bird discount by entering the code “CityLab”. RESONATE is the fruit of a new partnership between co-organizers fostering innovation and globally relevant dialogue: MAAT offers a common ground for discovery and critical thinking that crosses art, architecture, and technology; reSITE is a leading voice in Europe rethinking architecture and public space to make cities more livable. reSITE has six years of experience in designing international, interactive, and cross-disciplinary events, including the annual Prague reSITE urbanism global forum that will take place on June 14-15.